Take time to disembark on the shore of Egypt from your Nile cruise ship and meet some of the many Egyptians going about their everyday life. 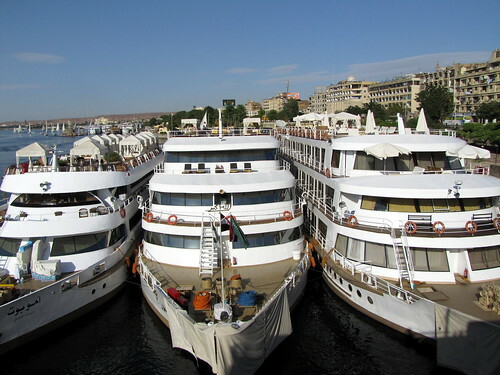 Most tourists who come back after having holidaying on a River Nile cruise are eager to tell everyone how welcoming the people of Egypt were to them, giving them cups of tea as they mingled amongst them. Languages of every country in the world can be hard to understand, however many of the Egyptians will stand near to you and discuss with their friends how to answer any question you may have asked them. Egyptians tend to gesture with their hands as they speak. It can be a little bewildering at first, and this is what makes the Egyptians a charming and welcoming host.